For years we had seen clients who were financially successful yet weren’t truly successful people. Having a large bank account isn’t what we deem true financial success. After studying this situation, we created Drive Planning to address and help our members move towards real success. 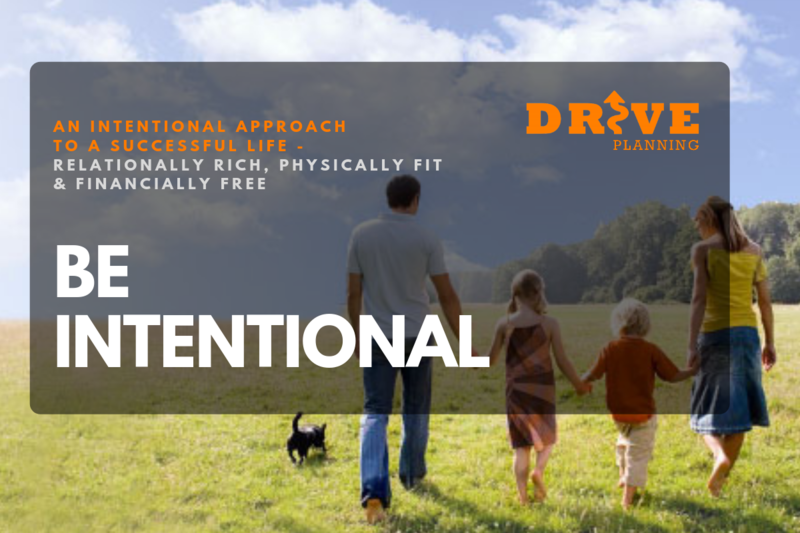 After research and surveying Drive Planning determined that truly successful people typically were Relationally Rich, Physically Fit and Financially Free. This program is designed to help people create an intentional approach towards true success. We will hold you accountable to goals in each of these three areas. Relationally Rich – We will help each person to identify their personal communication strengths and tendencies through on-line cognative testing. In addition, we will use additional tools to help partners (business partners, dating couples, married couples) assess how they should be communicating with each other. Physically Fit – It is proven that individuals who are physically fit have a higher success rate in business, relationships and life. We will work with you to provide fitness goals for individuals or as a couple. Daily exercise is often contributed to increased patience throughout the day as well as higher achievement and promotions in the workplace. These advantages along with better health make it a pillar in a successful life. Financially Free – Being financially free is a goal that we want all of our Members to achieve! Drive Planning applies our team approach to helping our Members create financial freedom. Once these funds are identified we seek to re-direct these funds back into their life to help them achieve their hopes and dreams. If this seems like a planning process that would create the life you desire please join us in our office to learn more.